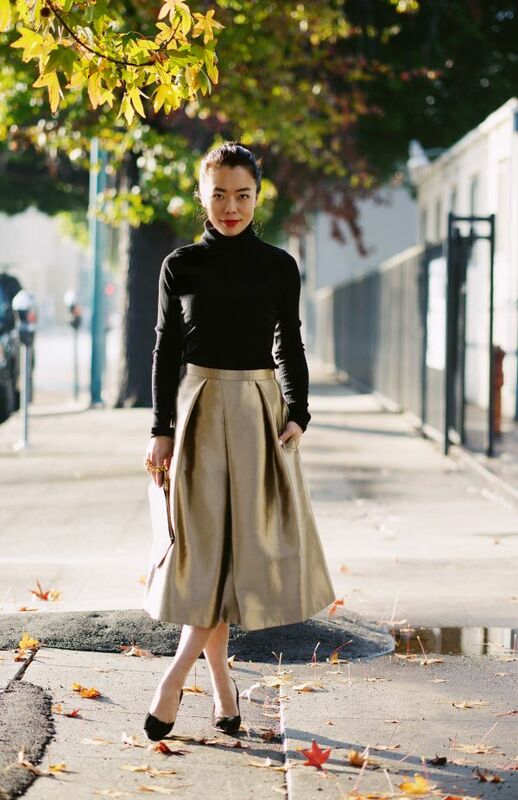 If there is one essential top for cold weather days, then it’s a turtleneck. In today’s post, we are going to see awesome ways of wearing this high-neck top in real life and stay chic. I know many who are in love with this garment. This is the comfiest garment in the world. Be sure, this staple is gonna make you feel and look insanely hot. One thing is known for sure, many ladies don’t know how to wear it. Thanks to this compilation you are about to see great ways how to make this chic top work perfectly. Keep on reading to find fresh combos and tricks. If you do like relaxed looks, then you might like to try on high-neck black version and pair it with tailored ankle-length trousers and classic black leather loafers. Personally, I do love this retro-inspired look. If you dream of a chic and ladylike ensemble, then be sure to pair fitted black turtleneck knitted top with a midi gold-hued skirt and classy black pumps. If you are more into conservative style, then you might like to wear a turtleneck underneath shift dress. If you want to keep things modern, then the best pairing might be cropped cozy black turtleneck sweater teamed with a semi-sheer white tee, pale emerald shorts, tights and ankle-length black velvet boots. Yes, this is a nice street style look. If you have the same unusually warm days, then the best look might be a sleeveless ribbed knit pastel grey turtleneck styled with a breezy calf-length skirt. Try this sweet pairing for Sundays brunch. If it’s a real cold outside, then you might like to layer your striped turtleneck underneath a long-sleeve knitted dress. If all you need is a comfort, then be sure to try on a layered outfit, consisting of a sleeveless plaid vest, dark blue turtleneck sweater and knee-ripped black skinnies. If you want to achieve that special business casual look, then go for a black turtleneck top worn underneath black blazer styled with ripped and cuffed jeans. As you can see, there are numerous of ways how to make turtleneck work in different climates. Look at the sleeveless cropped turtleneck ideally styled with high-rise dark blue wide trousers. That’s what I call an elegant model-off-duty look. If you are more into bulky looks, then keep an eye on this mohair loose-fit turtleneck sweater and pair it with black tights and high black leather boots. I do love turtlenecks for their versatility, allowing you to place an elegant necklace, choker or pendant around your neck. 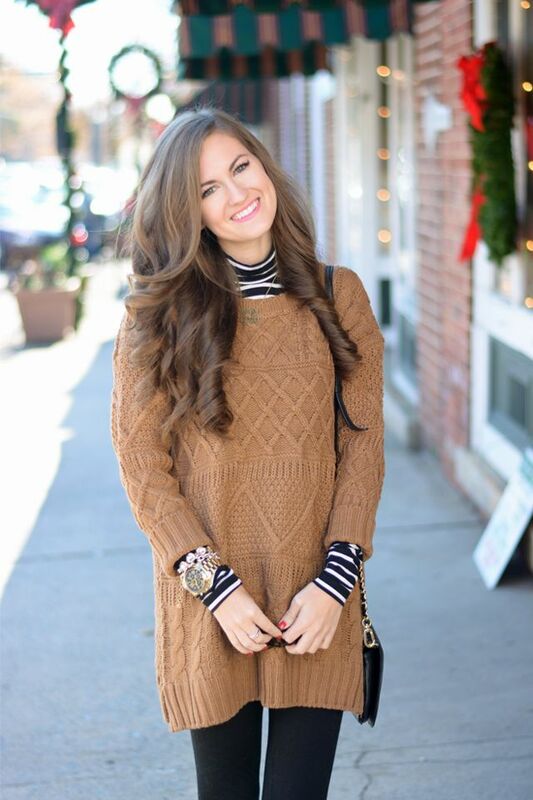 If you are looking for great ways how to make layered looks, then I recommend to check this cable-knit light brown sweater-dress worn over black-white striped turtleneck. Complete this outfit with black leggings. 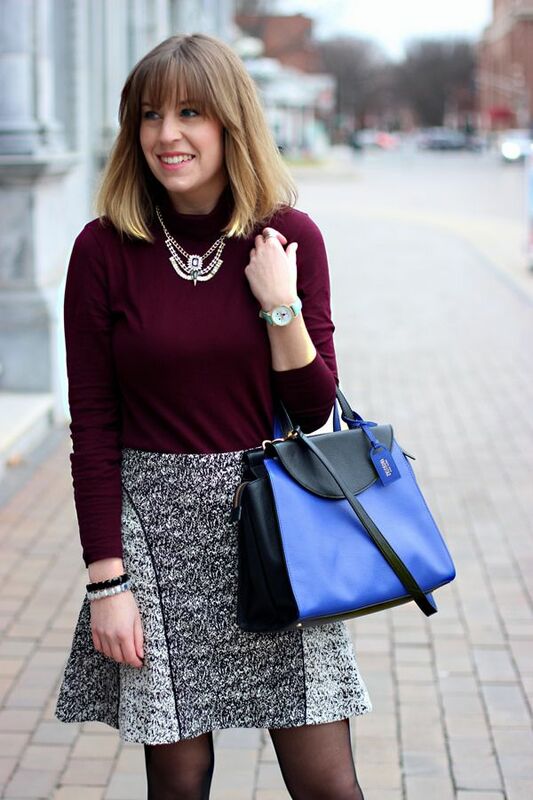 Speaking of clothes, check my favorite bright outfits for women to try this Winter. You can find plenty of cool combos and ideas. We see a classy outfit featuring a stylish plaid print white-black sleeveless blazers worn over navy turtleneck teamed with black skinnies and peep-toe black leather mules. By the way, check out my favorite clogs and mules for women, I bet you will find something interesting and inspiring! Do You have any thoughts about Best Turtlenecks For Women? Here are Fashion Tips pictures and trendy women’s outfits which are in style in 2019: Fall, Must Have Fashion For Winter, Must Have Fashion Trends For Women, Street Style Women's Fashion And Inspiration, Turtlenecks and tips on how to wear them on the streets.